During the hot weather of summertime, you may see brown patches in your lawn. The grass looks burned-out and dead. There are various reasons why this problem happens. For example, your lawn has not been watered thoroughly. It was over fertilized or there might be too much dog urine, rich in nitrogen, in your lawn. You may wonder whether the burned grass is dead or just dormant, how serious the situation is or how many chances you have to bring back your beautiful green lawn. If you have been concerning about these questions, read this article. In this article, we would like to introduce some tips to cure your damaged turfs. 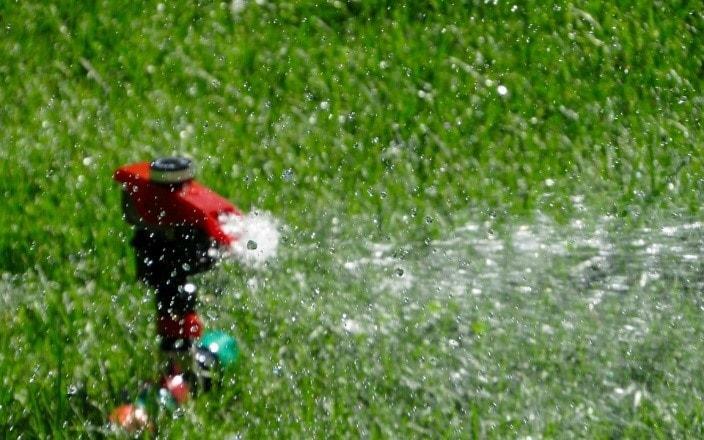 If your lawn has just been slightly burned, then watering might be the best cure for it. Water your lawn properly and ensure the grasses are thoroughly soaked so that the roots of them can be moisturized properly. At least an inch of water is needed for your lawn. Unfortunately, you may need to spend a lot of money on watering, while the water is definitely not cheap. If your grass simply went into dormancy, the leaf color will turn from green to brown. The growing part of the grass will shut down, and it will return when the cool and rainy weather comes. The dormant grass does not need too much energy, and it can survive without water. All you have to do is stop mowing your lawn with manual lawn mower and avoid stepping on the burned parts of the lawn. Also, do not fertilize or use any chemicals and wait for the moist and cool weather to come. By adding sugar to your lawn, it will help enrich the soil and benefit those microscopic organisms that support your grass. 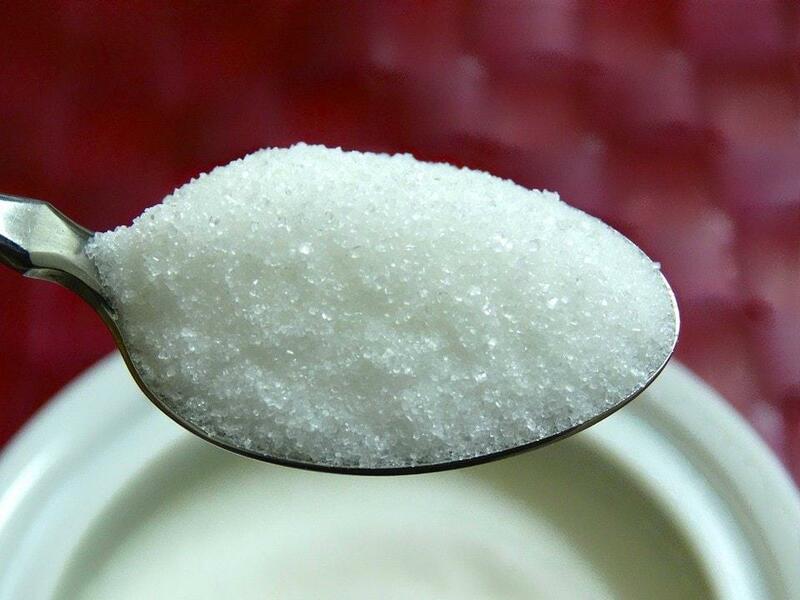 It’s better to apply 1 pound of sugar to every 300 square feet of lawn. You should not use any fertilizers or weed killers because they will obstruct the treatment and prevent the grass from becoming green again. In case just a part of your grass is burned, you can think about reseeding new seeds to that area. First of all, remove the tall and excess grasses that surround the burned part, by mowing them with a push mower or self propelled lawn mower to the height of 1.5 to 2 inches. After that, you should totally remove the dead grasses from the burned area by raking them, and then remove about one inch of soil from that area and refill it with the new soil. Sprinkle some new seeds over this new soil. If the burned area is large, you can use a lawn seeder to ensure similar seeding for the whole area. Do not forget to cover the reseeded area with straw mulch to protect it from the animals and rain. Please remember to irrigate it thoroughly for several weeks until the patch is covered with a beautiful green carpet of grass. 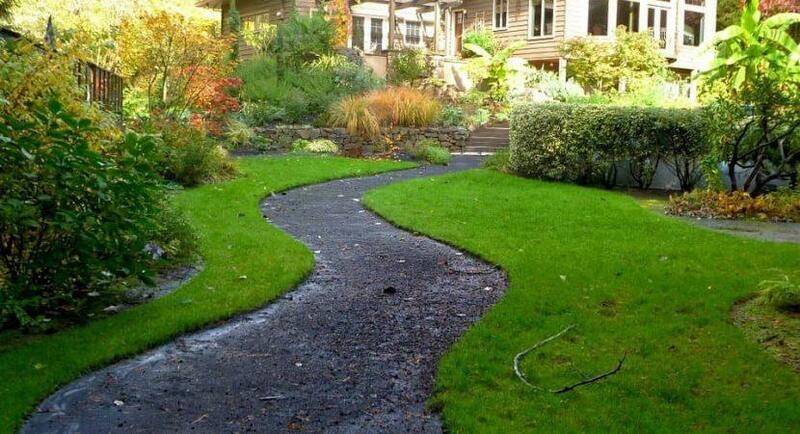 After a while, if your grass is dead, then you cannot rely on the nature or any materials to bring back the greenery. 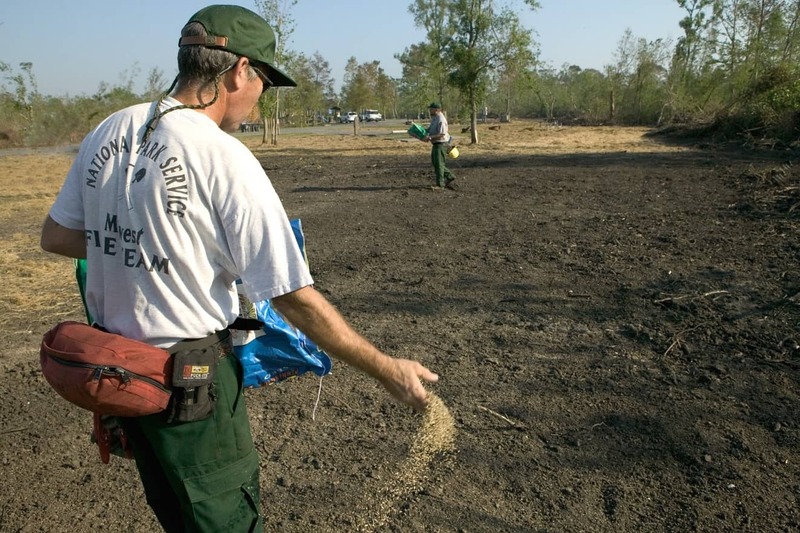 Moreover, if a large area of your lawn or even the entire lawn has been burned, you may have only one choice: re-sodding. First, cut the damaged grass to the soil level. Use a metal rake, hoe or shovel to loosen the soil (a tiller is more practical for a large area of soil). After that, you can draw straight lines around the area that will be re-sodded. All vegetation inside the lines should be removed. You can flatten the entire area of soil with a rake and then use a lawn roller to roll over the area in order to pack the soil in place. 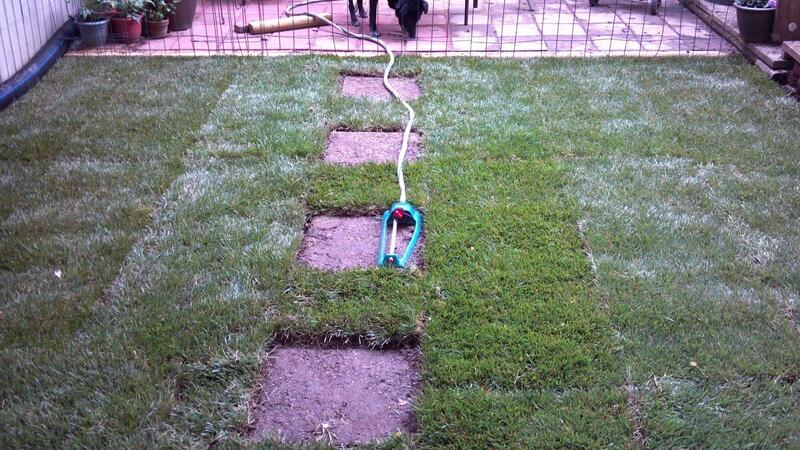 Now, you can place the new patches of sod on the prepared soil. Make sure the joints between them are as tight as possible. Then, roll over the newly installed sod with a lawn roller to press the sod into the soil and water it thoroughly. Keep the sod well irrigated daily for two weeks for root growth stimulation. When the turf is still green and growing, provide adequate moisture the week before you fertilize it. Water deeply and frequently. Remember, lawns need 1 inch of water per week, including rainfall. Always follow the instructions of any products or materials (on the package labels) applied to the lawn. If the air temperature is high and the humidity is low, minimize foot traffic to reduce the additional stress on your lawn. If there is a drought, try to mow as little as possible because lawns under stress are very susceptible and can be damaged easily. You can mow your lawn after ainfall or after the irrigation day. Keep the mowing blade of your lawn mower. A dull blade can tear the plant tissue which may develop a brown appearance on the surface and weaken the grass. Do not apply fertilizers, chemicals, or cultivation to your lawn during periods of high temperatures. These can be done when the weather condition is cool and moist. Proper fertilization, watering, mowing, and pest control can help to produce a consistently healthy lawn at the right time and in the right way. So, please remember all the tips above, and try to apply them to take care of your lawn. 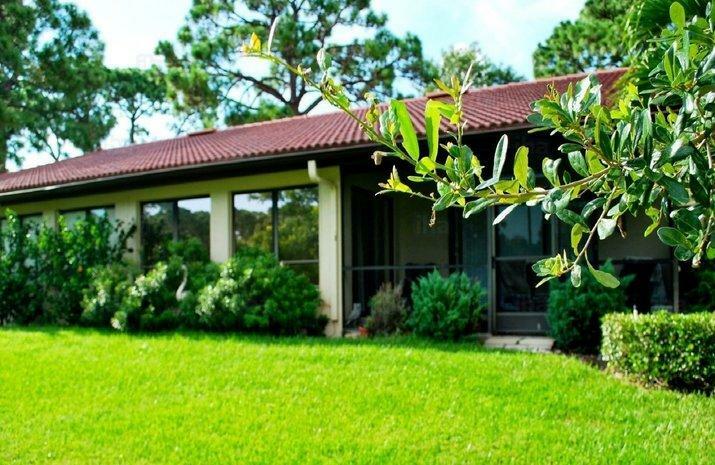 We are sure that you can protect your lawn from burnin﻿﻿g and keep it as beautiful as you want.